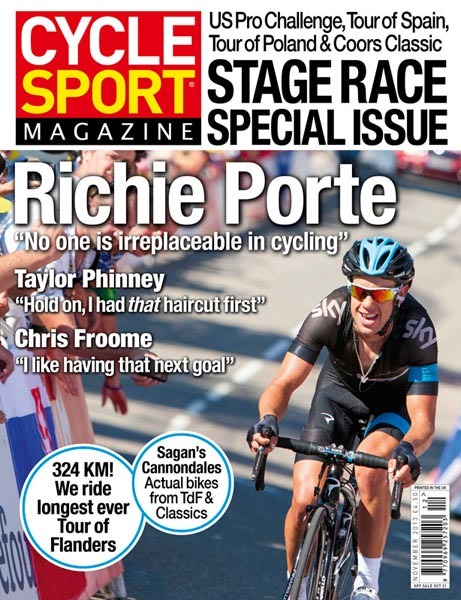 Richie Porte features on the cover of the November 2013 issue of Cycle Sport magazine. The Tasmanian star talks to CS about his most successful year to date in the lead-up to assisting Chris Froome to his Tour de France victory, and what the future may hold for the likeable man from Sky. As ever, the issue is packed with the best writing from the worlds leading cycling writers and accompanied by stunning images from internationally renowned cycling photographers. Is Gilbert the worst world champion ever? Why doesn’t the exciting Tour of Poland get more kudos?